Menopausal Acne Treatment & Age Discrimination By Your Insurance Company | Women & Acne During Menopause: Too Old For Skin Care Medication? Insurance Benefits and Age Discrimination – Insult to Injury! Just when I began to accept some of the midlife changes that turning 50 brings, menopausal acne started rearing its ugly head. Like the not-so-tidy body shape and the gray in my hair that, although annoying, actually has given it body for the first time – mother nature decides to add insult to injury. Not only that, but the practice of age discrimination by my insurance company was shocking. Never in my wildest dreams did I imagine I’d be struggling with menopausal acne. We’re not talking about an occasional blemish here – we’re talking about full-blown what-is-that-thing-on-my-face, don’t wanna leave the house outbreaks that were a completely new experience. b) it would cost me about $200 for what was supposed to be about a month’s supply. Most distressing of all was to see – in writing –the reason they didn’t cover this prescription. Simply put, I am considered – dare I say it? Too old. That’s right. Too old. Too old for skin care medication. I mulled on that for a bit…what exactly did they mean? Too old to have acne in the first place – like they didn’t believe it? Like I’m a scrub? Or, did they mean I’m just too old for the treatment itself, in which case, what does THAT mean? That I should somehow have control over it? 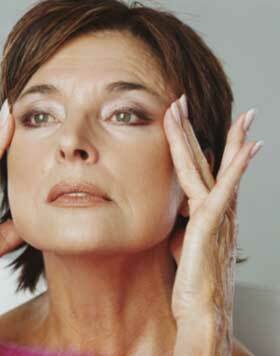 That acne during menopause is a natural state of affairs – an event to simply be endured? Or is it simply that because I’m a fifty-year old woman, my appearance is no longer important. After all, if I were 16 or 20, they would certainly cover it. It is rapidly becoming apparent that there is a link between insurance benefits and age discrimination for baby boomers when it comes to menopause and acne. My dermatologist was eager to help, offering me samples of the product and providing me with a letter assuring the insurance company that the Retin A is truly for acne and not cosmetic purposes. (By cosmetic, do they mean the absence mere of huge zits on my face?) Jury’s still out on whether or not they will cover this expense. In the meantime, I’v purchased one of the products and am still using samples of the other courtesy of my doctor. My real beef? Being told that I’m too old for the same treatment they willingly provide for younger people, when menopausal acne is a well-known condition. In any other situation that would be considered discriminatory and therefore illegal. Amazing.